They’re telling stories through the 20+ minute cassette: some, as a 28 year old male in this generation, that are funny and naturally relatable, but also innocent and downright catchy. The worst “sitch” about the Sticky Sitch is that it ends entirely too soon – but that’s also the good part, because that is only one single, lonely complaint. Throw the tape on repeat and forget about it, much like all the women that forgot about you too – your foot will be tapping for so long you’ll have a new workout routine for your legs. The burning opener “Wrathchild” is one of the faster-paced songs you’ll find on the tape and it totally sets the tone. “Baseball” takes a steady-cruising, medium-paced tempo, but is still built with those blistering guitars and tight percussion. “Be My Baby” is the slow-burner of the cassette, even if it only lasts for a moment. It unfolds with dazed guitars that lead to a sudden, pummeling build up that kicks the tempo up a peg or two. There’s even some whistling worked in there for added depth. Title track “Sticky Sitch” is the start of a killer last leg of the album. It’s loaded with those scaly, crud-coated guitars that morph into sizzling, squealing leads that’ll melt and eventually deform anything that gets too close – much like any female that seems to get too near. “Naked Girl” is a surefire album highlight, with wailing vocals that are just plain fun and easy to hum along to. It’s surfy and carefree but far from sloppy, telling about a love interest that only wanted to take things so far. They bow out with “Science Friction.” It’s an instrumental number that rounds out the cassette with a blitz of angular guitar work, righteous soloing and a nasty streak of ravaging noise. Bandcamp is telling me I need to open my heart and wallet to these guys. There was no thought process needed in doing so. Buy the cassette. It’s in an edition of 100 and less than 25% of those remain. Get in there, show your support as a true Bubbletarian. BUY the tape from the Godless America Bandcamp – edition of 100 ! 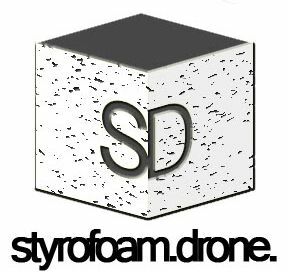 Posted on May 7, 2018 May 7, 2018 by styrofoamdronePosted in Cassettes, ReviewsTagged garage rock, Lo-Fi, pop, punk.